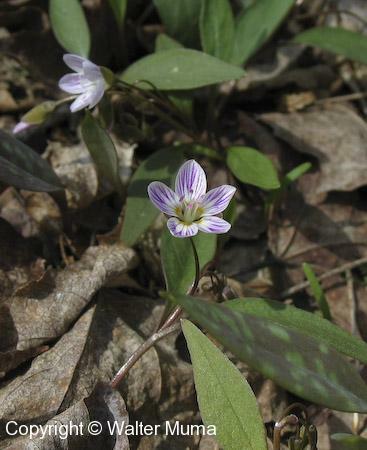 Distinctive features: Early spring flowers, broader leaves. 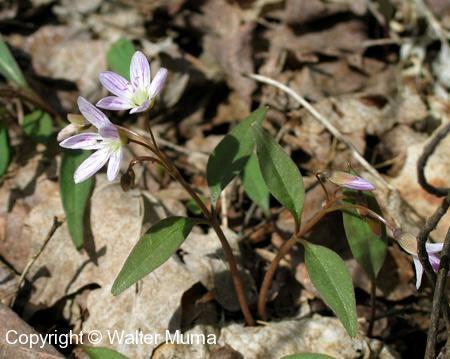  Narrow-leaved Spring Beauty (Claytonia virginica) - Narrow leaves, more of a southern species. 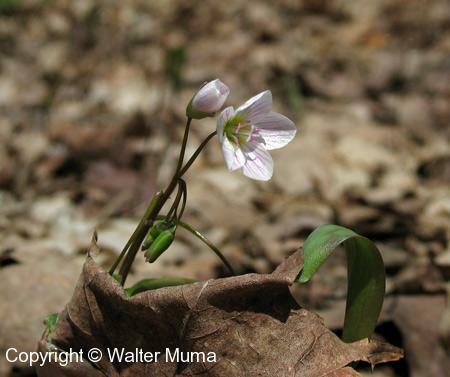 Scientific Name: caroliniana: of the Carolinas; Claytonia is named in honour of John Clayton (1686-1773), who botanized Virginia for 51 years. Photographs: 187 photographs available, of which 10 are featured on this page. SCROLL DOWN FOR PHOTOGRAPHS. 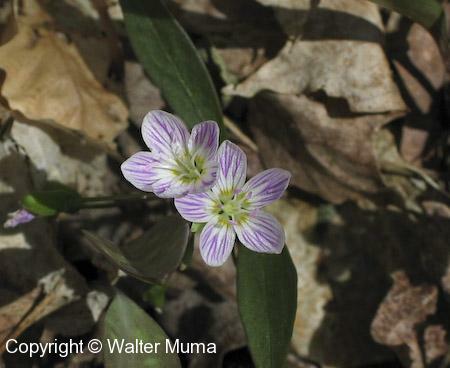 The flowers are why this is called "Spring Beauty" - they are indeed beautiful. 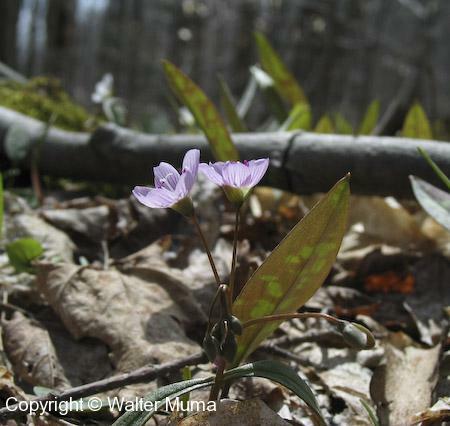 These are very low, forest floor plants. 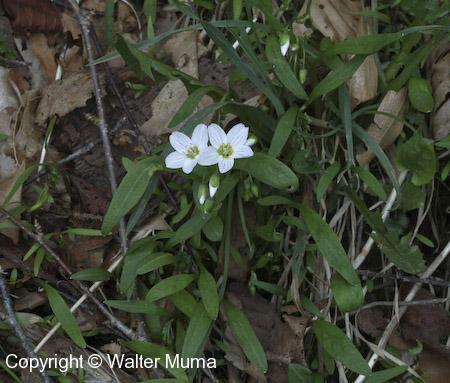 This photo shows the broader leaves of Carolina Spring Beauty. 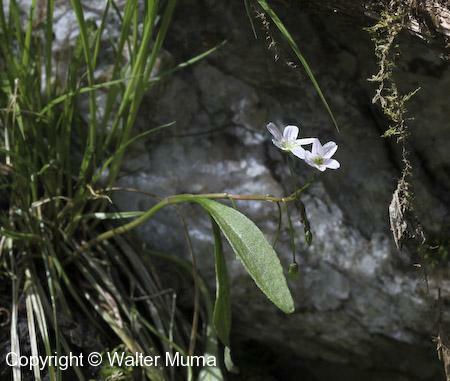 Narrow-leaved Spring Beauty (Claytonia virginica) has narrow long leaves. 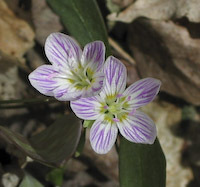 The flowers sometimes tend towards white. 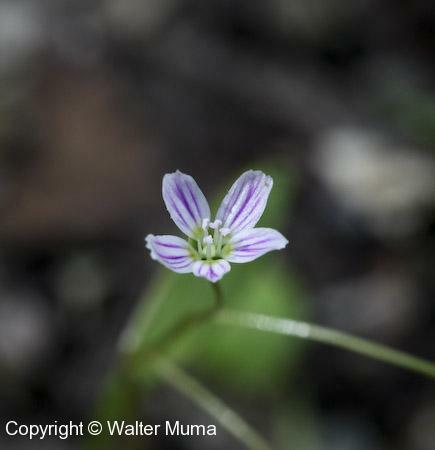 Nice closeup view of a Carolina Spring Beauty flower. 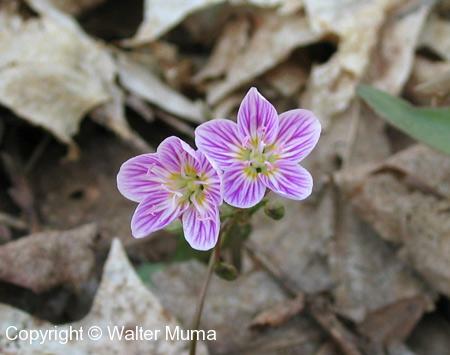 The flowers can also be bluish, or pinkish. A good view of the broad leaf. Early spring nourishment for the bees.